As I write this, it is snowing outside, but the weather forecast is much brighter for the days ahead. Can you believe it is February—a month for love, groundhogs, Chinese New Year, presidents, and sometimes an extra day?! Rotarians also celebrate our birthday on February 23 and focus on Peace and Conflict Resolution. 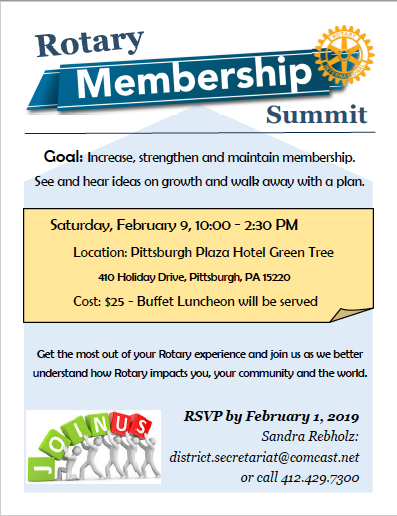 Our Rotary State of the District was held on January 27 in Latrobe. Are you working on the Crystal Citation? Applications are due March 3rd! 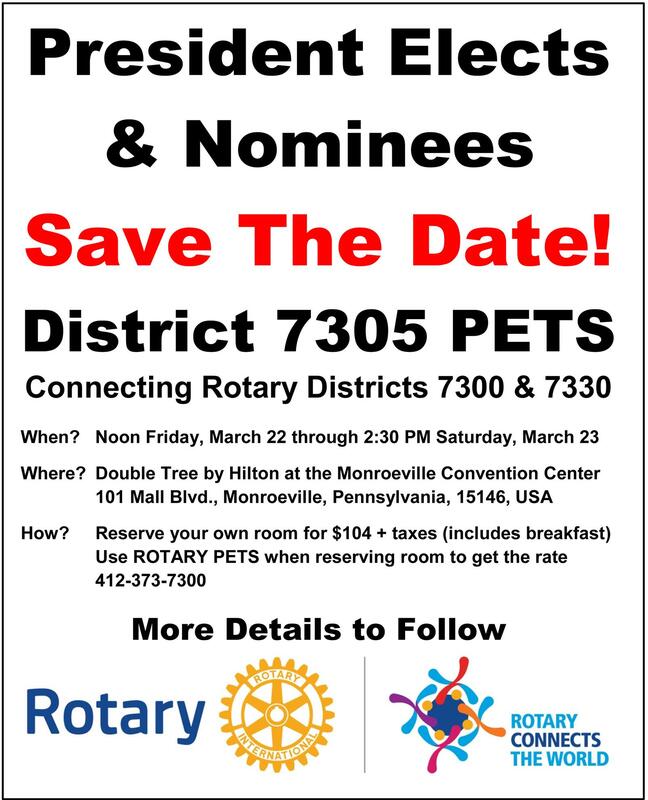 with District 7300 Meet new Rotarians and learn more about membership! PDG Mary Berge is helping DGE Jim Hahn to plan an exciting learning experience for incoming presidents. Some clubs have not provided contact information for your presidents-elect. Please send to your AG or me so that information is delivered in a timely manner. 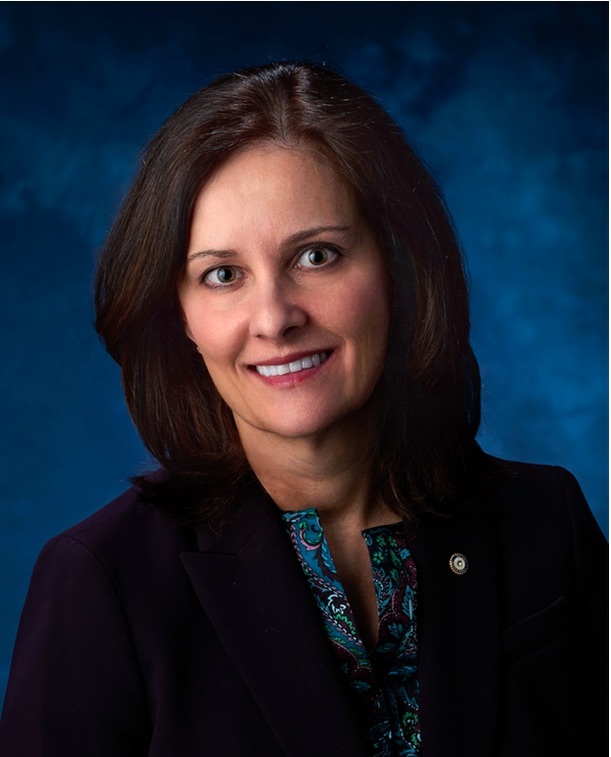 Congratulations to Rotary International Director-Elect Stephanie Urchick for Rotary Zone 33!. 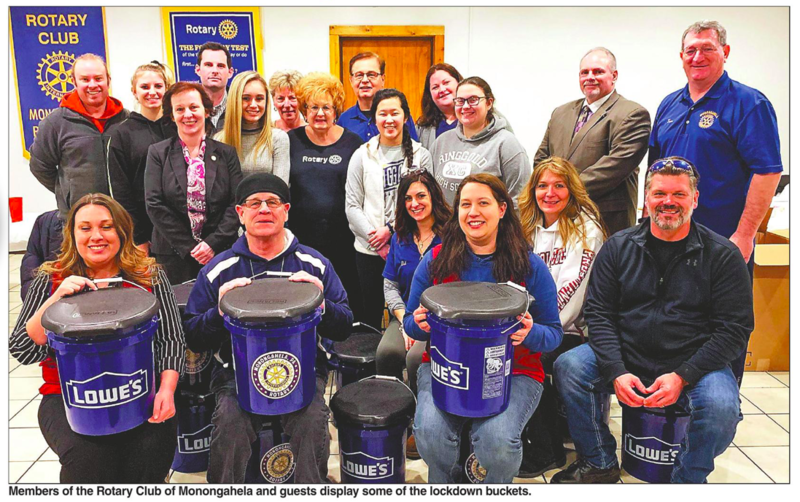 MonongahelaRotary assembled 100 lockdown buckets.